Rhonda has over two decades assisting clients in the financial industry. Buy-Side Associate Partner Rhonda Gronberg has developed an impressive client base and professional network across the country. Originally from Ohio, Rhonda has worked over 20 years in the financial industry with Fortune 500 companies, GE Capital Corporation, PNC Bank and Bank of Tokyo (Mitsubishi UFJ Financial Group), as well as, ITT Capital. Rhonda is as equally experienced working with owners of small and mid-size companies, as she is CEO’s and CFO’s of large corporations. Throughout her career, she has helped countless companies assess capital equipment financing needs and secure funding. 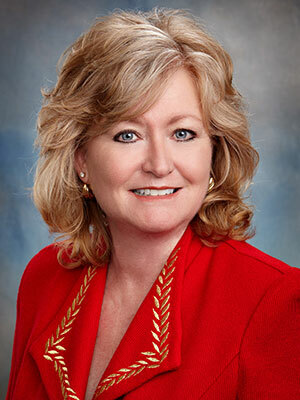 In 2011, Rhonda brought her extensive sales and marketing experience to Stoneridge Partners. As Buy-Side Associate Partner, Rhonda works with large corporate and regional buyers to locate, examine and close quality home health and hospice agencies across the country. I have worked with Rhonda for about two years. I have found her to be very knowledgeable about the home health and hospice space, extremely responsive, and of the highest integrity. It has been a pleasure doing business with her. – Todd Flowers, Vice President Corporate Planning and Development, Kindred Healthcare, Inc.
We recently completed an acquisition with the assistance of Stoneridge Partners. Rhonda was extremely helpful throughout the transaction. She was professional and attentive, a pleasure to work with. This was our first transaction of this type so we really appreciated having a seasoned professional to help us through. – Terry J. Shade, CEO, Lutheran Home Care and Hospice, Inc.
– Keith Ray, Sr. VP, Christian Homes, Inc. It has been a pleasure working with you over the past year in selling our company. During the process you were great at handling buyer questions and inquiries and discussing with buyer when potential issues that surfaced. I have to say you were very valuable at mediating different steps through the selling process. You brought a very good buyer to us that I really like and plan to maintain a good relationship with him. Your process for selling has been great with the offsite website to download/upload necessary information buyer needed to complete due diligence. It was very user friendly and easy to navigate. I also really enjoyed getting to know you Rhonda and I hope to keep in touch going forward. Thank you for all your help in making this a successful transaction.